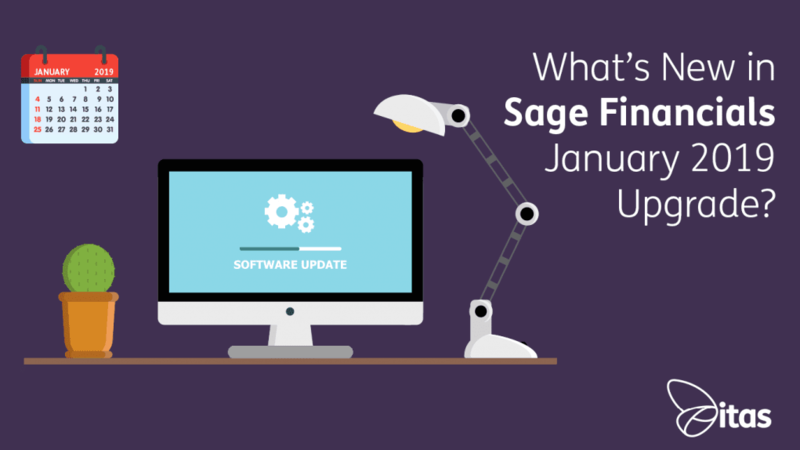 Sage Financials: What’s New in Sage Financials January 2019 Upgrade? The New Year brings us a variety of new features, improvements, and fixes to Sage Financials (previously known as Sage Live). January’s upgrade is a push upgrade and will be automatically applied to your org by Sage. If you want to test this first in Sandbox we encourage you to reach out to your support partner who will have access to the upgrade for you. This upgrade introduces email grouping for sales documents, improvements to contracts and improvements to aged debt and reports, amongst many other things. Sage has introduced a much more flexible and effective way to allocate payments to sales and purchases on account and credit notes. From one place you can allocate all types of credits and debits which applies to both Accounts Receivable and Accounts Payable. The improvements will let you manage partial and full allocations for multiple or single currencies, easily. You will be able to reorder lists using the column headings and filter the lists by date. Another improvement includes being able to allocate and view all unallocated debits and credits. This includes payments on account, invoices, refunds and credit notes. You will also be able to allocate multiple dates to multiple credits. You can now process multiple contracts straight away from the contracts list which will minimise time. You can select the date you wish to process up to, invoices will then be generated that are scheduled up to the date you’ve chosen. The quantity on invoices for a pro-rata period are now shown as a pro-rata amount to improve the clarity of invoices generated from sales contracts. Both the Aged Debts Retrospective and Aged Credit Retrospective reports have been updated to new versions. The reports will now provide a full overview of all the different document types and can, therefore, be used for reconciliation purposes. Your existing reports will automatically be updated with the new versions. Previously, an email was sent per document. January’s upgrade will ensure all documents with the same contact will group together on a single email when multiple sales documents are selected from a list and sent by email. Ledger Accounts, Actions, and Lists have a new field which allows you to de-activate them when required. Remove ledger accounts from the list views and lookups to deactivate them. To prevent them from being added to dimensions and tags, clear the Active check box. You can hide list views that you don’t want to use by clearing the active checkbox. This makes the list view stop displaying but it will still remain. You can hide actions that you don’t want to use by clearing the active checkbox. This makes the action stop displaying but it will still remain. The Bill to and Ship to addresses when creating a Purchase Order are now populated based on the addresses from the selected company. You can now configure the Description on ledger items which are populated based on expressions. You can include information such as a fixed piece of text, the supplier invoice number, supplier name and identify when the invoice value was more than a certain amount. The rebuild ledger balance utility works more efficiently, beneficial if you have a large dataset. You can run one batch per company and fiscal year and run only in the current company. Making Tax Digital (UK Only) – An effective and compliant way to account for transactions with a tax point date that belongs to a tax submission that has already been made will be introduced in this upgrade. You are able to identify late transactions and choose how to process them appropriately. This feature is currently only available via the MTD submission for businesses taking part in the MTD beta phase. Home » Sage Blog » All Sage Blog Posts » Sage Financials: What’s New in Sage Financials January 2019 Upgrade?